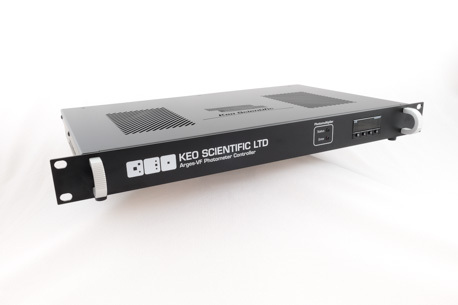 The Keo Arges, named after one of the Cyclopes in Greek mythology (name meaning “Bright”), is a line of highly sensitive photon-counting photometers developed by Keo Scientific Ltd. These are specifically designed with quantitative studies of sub-visual emissions from auroras and atmospheric airglow in mind. They are, to the best of our knowledge, the only commercially off-the-shelf available instrument targeted at such applications. 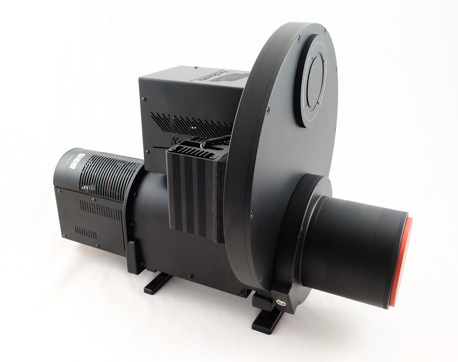 The Arges fore-optics is composed of an ultra-fast (F1.6) lens system, ensuring unparalleled photon-gathering capability. The large “eye of the Cyclops” is a low-noise photomultiplier tube (PMT) with a 5 mm diameter GaAs photocathode (GaAsP, S20, or blue/green-sensitive bialkali also available), providing high sensitivity and excellent spectral coverage well into the near-infrared. 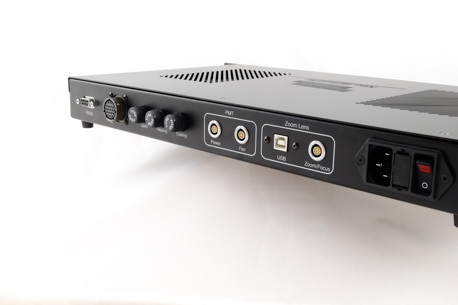 The cooled PMT, high-voltage power supply, pre-amplifier, discriminator, pulse shaper, and pulse counter are all co-located immediately at the rear of the instrument, eliminating extraneous noise and cable signal losses. 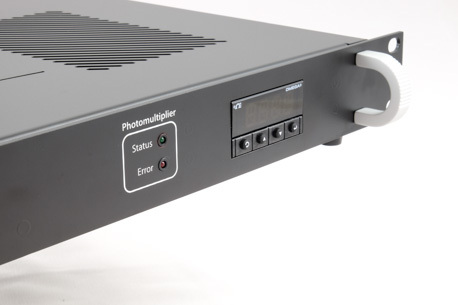 The photon count data are then carried digitally (losslessly) to a computer via a 7-meter long high-speed USB2 cable. These photos show the Arges-VF member of the Arges family. This particular member features a variable field-of-view (FoV). 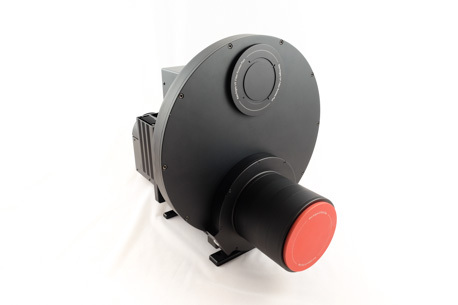 An adjustable FoV in the range 1 to 10 degrees is provided through the use of a precision VIS/IR multi-coated lens system, which maintains its impressive F1.6 performance across most of the zoom range while at the same time utilizing the full 5 mm diameter of the PMT photocathode, for optimal throughput (A-Omega, etendue) at any selected FoV. The widest (10-degree) baffle configuration is shown here. The Arges photometers come with a single-filter slot or, optionally, a 6- or 8-position filter wheel. A convenient "filter access port" is provided on the filterwheel, as seen in the photos. Also provided, is a special wrench for safely inserting and removing filters in the field (last photo). The performance of narrow-band interference filters is temperature dependent. 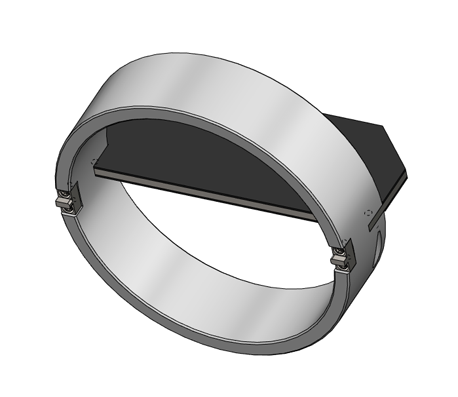 Therefore, custom-designed electronics maintain a stable (to ±0.1°C) filter wheel temperature. Heaters are internal to the wheel, and two (optional) highly efficient thermoelectric (TEC) coolers are mounted at the back of the filter wheel, as seen in these photos. 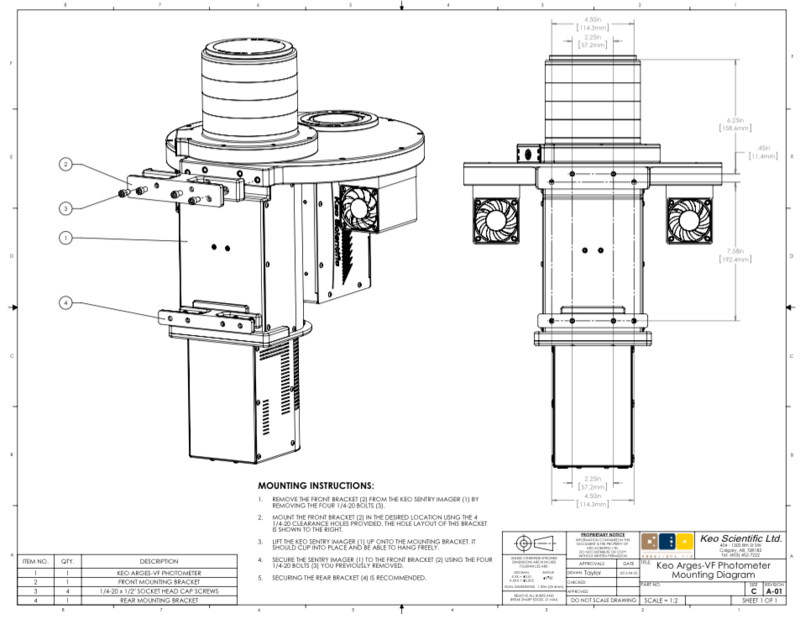 Our filters are manufactured specifically for demanding photometry applications, each being optimized for the actual cone-angle (or, range of cone angles) under which they are to work. 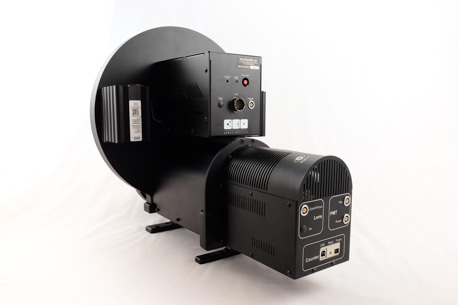 A wide range of 3-inch diameter filters suitable for airglow and auroral research — both narrowband and wideband — is available. We order our most popular filters (e.g., 427.8, 470.9, 486.1, 557.7, 630.0, 777.4, 865.0 nm) in large quantities from the manufacturer and are thus able to offer them to the research community at beneficial prices by passing on the quantity discounts that we benefit from. 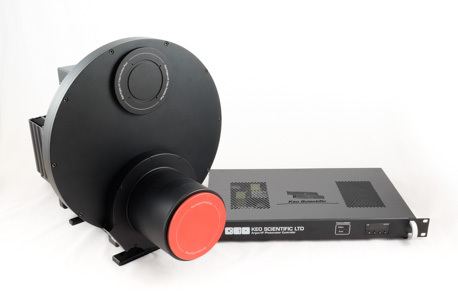 Single-FoV photometers, meridian scanning photometers (MSP) and tilting-filter photometers are also available within the Arges family. Full absolute calibration services, which includes "pulse pile-up" correction analysis, is provided, enabling the end-user to convert photomultiplier tube counts to units of rayleigh-seconds, or equivalent, across the entire useful range of the PMT. The Keo Arges family is fully supported by our user-friendly (GUI-configurable) and field-proven Keo Synopticx instrument control & data acquisition software suite, which runs under MS Windows 7 and 8. Keo Scientific's 3-year warranty supports all Arges photometers, and our famous friendly lifetime support service is—as always—prompt, professional, cheerful and free of charge!